Fire & Ice has officially arrived at Museum of Glass (MOG)! This festival offers something for everyone to enjoy—from frosty snowman crafts and an ice-cool Frozen™ sing-a-long to hot Museum Store sales and fiery glassblowing demonstrations, MOG visitors are sure to be entertained! 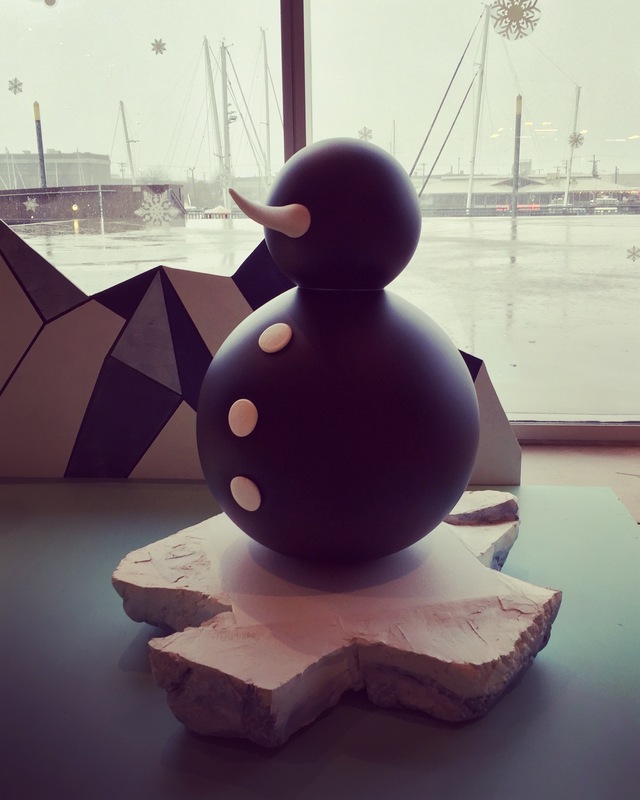 Nancy Callan’s Visiting Artist Residency, December 16 – 20: Nancy Callan’s iconic glass snowmen recently arrived at the Museum, filling the Grand Hall with winter spirit. Now that I have seen her festive works of art, I am excited to watch as she creates more pieces in the Hot Shop. Rumor has it she will be making another snowman! Snowflake Fusing, December 17, 5 – 8 pm: Add a little sparkle to your home this holiday season with a hand-made fused snowflake! 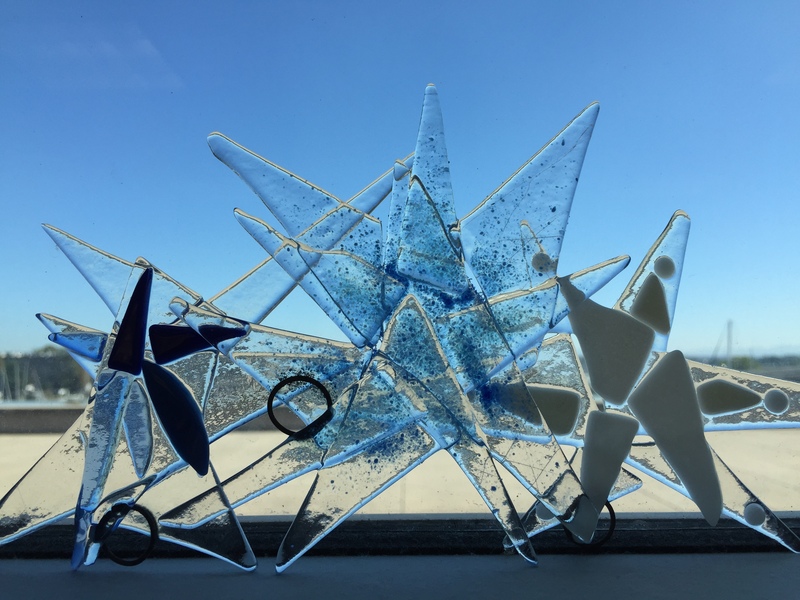 On December 17, from 5 to 8 pm, visitors can enjoy free admission to Museum of Glass and a special $12 fusing rate to make their own star or snowflake. See art and make art! Ice, Ice, Baby, December 26, 2 – 3 pm: Every so often, the Hot Shop Team breaks away from their projects to have a little fun in the studio. Visitors may have seen the Team working with Visiting Artists or creating commissioned pieces or items for the Museum Store, but next month they will do a demonstration purely for fun. Visit the MOG Hot Shop on December 26 from 2 to 3 pm to see how molten glass and ice combine! Which Fire & Ice events are you looking forward to? Check out the complete calendar here. This entry was posted in Art, Events, Glass, Hot Shop, Museums and tagged Fire & Ice, Fusing, Holiday Season, ice, molten glass, Museum of Glass, Nancy Callan, Snowflakes on November 25, 2015 by Museum of Glass. Their favorite beer is Rainier. They go fly fishing—for salmon and trout. Team member Sarah Gilbert caught her first steelhead on a dry fly (something most people only dream about). They love 1980s soft rock favorites—especially Gabe Feenan, who often sings along. They go camping together once a year (this involves a lot of Rainier beer). They bring sushi to staff potlucks (from fish they caught themselves—naturally). They always dress up for Halloween. This year they wore their best formalwear to work in the Hot Shop; last year they were convicts. They are handy, and own old houses in Tacoma that they like to renovate. They make their own light fixtures! One member can eat 22 tacos in one sitting. We can’t tell you what their favorite taco truck is—that’s proprietary information. 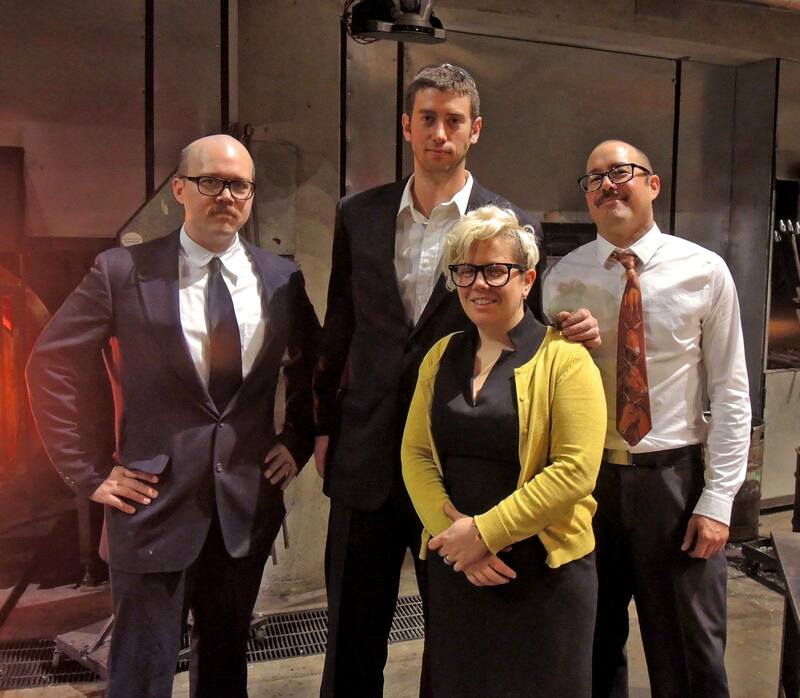 The Museum of Glass Hot Shop Team on Halloween. This entry was posted in Hot Shop and tagged 1980s soft rock, fishing, Halloween, Hot Shop, Museum of Glass, Rainier, salmon, sushi, Tacoma, tacos, trout on November 7, 2015 by Museum of Glass.